Supra LoRad Mains Blocks Trade Enquiries: Please click here to send us an email. b) PURCHASED READY-ASSEMBLED, pre-fitted with a number of different mains connectors. 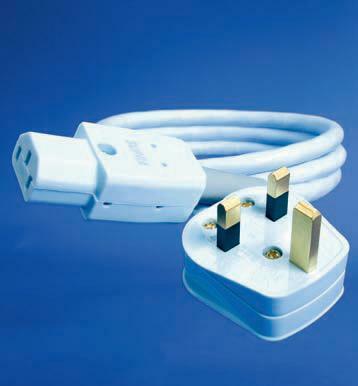 In UK, only BS-approved 13 Amp plugs and CE-approved IEC connectors are fitted as standard. For other countries, connectors such as Schuko and US plugs are available.